Directions to the Dogwood Studio: Take 219 South past the Fairgrounds and the High School. In front of the hospital, the road fork, bear left on 219 S towards Kroger and Ronceverte. We’re next to Dr. Marshall’s dental office on the right hand side. It is a beige house that sits up from the road a little bit. 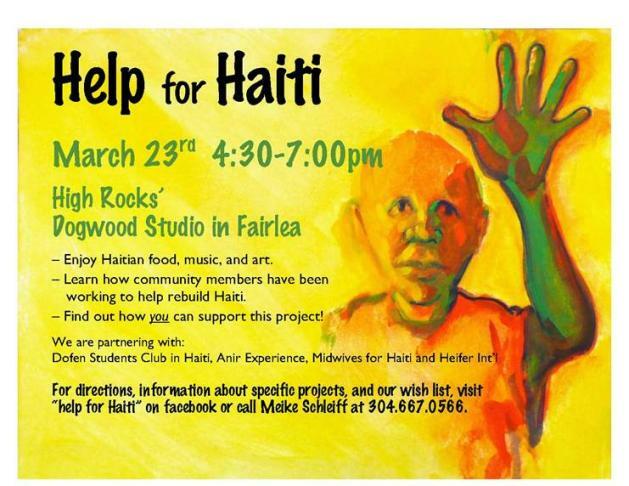 Visit our Facebook “Help for Haiti” page (link below) or call Meike Schleiff (304-667-0566) for more information on specific projects and our wish list!